Just five simple steps and your thumb will be as good as green. If you're all about organic eating, then you already know it usually comes with a hefty price tag. But, it doesn't have to. 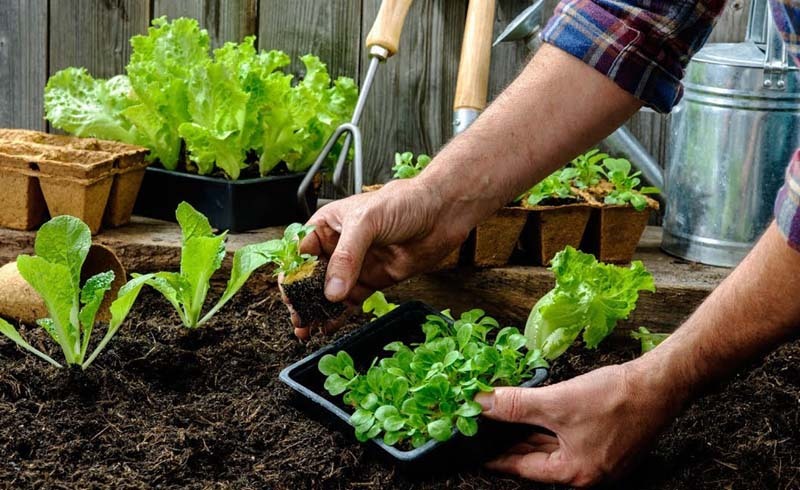 It's actually pretty easy to grow your own organic, environmentally conscious garden at a fraction of the price, even if you have limited space. We sat down with gardening expert Joe Lamp'l (AKA Joe Gardener) of Growing a Greener World to get all the tips you need to start your own garden. Check your region. Certain plants grow better in certain areas, so before you buy seeds, learn more about where you live. Climate, soil and precipitation are just a few factors you need to consider, so you don't attempt to grow pineapple in New Jersey or pumpkins in Texas (it probably won't happen). Once you've located your growing region, then you can start gathering plants and seeds that will thrive naturally. Start with a good soil. Joe explains that the most important aspect of a garden (and one most commonly overlooked) is good soil. Acidic or alkaline soil, too much clay or sand and other aspects can keep all your hard work from actually blossoming (pun intended)—but thankfully it's easily fixable. We recommend all purpose soil from Miracle Grow or an organic version from Kellog. The right tools make all the difference. Having the right set of tools can make or break your garden. “I use a classic Hori Hori knife that's been around for thousands of years. It has a serrated blade to slice through soil bags and measurement units on the blade for planting bulbs or seeds at the right depth and it's stainless steel so it's never going to rust," Lamp'l says. Joe also suggests making sure you have the right nozzle at the end of your hose to adequately water your blooms. No room to store a huge rubber hose? Try a flat hose that not only stores easily, but is still long enough to water everything in your garden. Space doesn't matter. While you might think that having a garden means having a lot of outdoor space, in reality, you really can garden pretty much anywhere. “You don't need a lot of space and you don't need full sun, especially if you're growing herbs, which are really forgiving," Lamp'l says. Try a raised bed on your deck or patio or even a simple railing planter for your balcony or fire escape. It's not as hard as you think. “When you're getting into organic gardening, you want to focus on the soil and you want to avoid using man-made products," Lamp'l suggests. 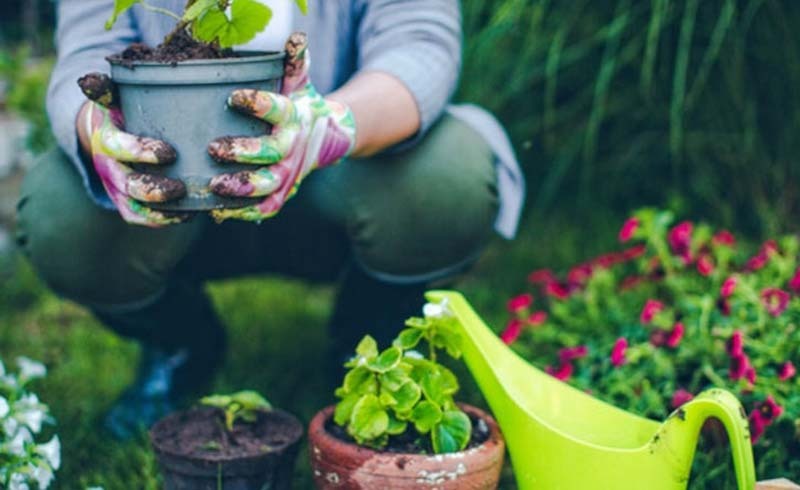 Start with a great organic fertilizer and keep pests away with a essential oil-based pesticide—you'll be proud of your organic gardening skills and the environment will thank you.